This post seems apropos today. I have the highest respect for our nation's military. The men and women who have served and are serving our country deserve more than they will ever give and have my greatest thanks. But...seems like there's always a but. Not everyone who lost their lives in defense of this land swore an oath to the US Government. Murray Pura's entry to the One series opens our eyes to a different perspective. To put it simply, no matter what the lines on the map say, we are all God's Children. Of course, Murray puts it much more eloquently and shares a tale of enthusiastic youth and idealism. 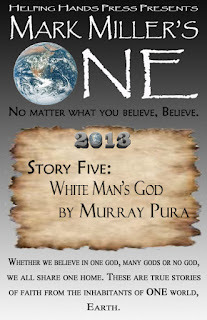 In Story Five, best-selling author Murray Pura takes us to a fantastical world known as the 1970’s. As a college student in Canada, the author and some friends embark on a journey of body, mind and spirit. A road trip that begins with curiosity and idealism ends in death and self-discovery at Wounded Knee, South Dakota. Sometimes, it takes great things for us to realize the simple things in our faith. For a bright-eyed, long-haired college kid, he had to re-evaluate his own beliefs when he saw the world through the eyes of Native Americans making a last stand for their beliefs. They showed him a different way to look at the White Man’s God. 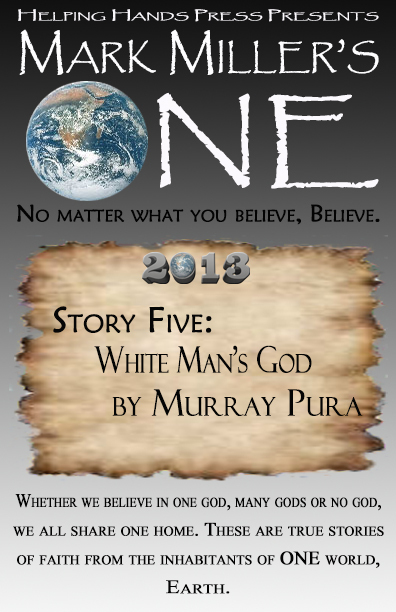 About Murray Pura: Murray Pura is the award-winning author of more than a dozen books, including the novels The Rose of Lancaster County, The Wings of Morning, The Face of Heaven and the devotionals Rooted and Streams. He is published by Zondervan, Barbour, Baker, Helping Hands, Harvest House and Harper One San Francisco. Six new titles are expected in 2013. Today, we have the pleasure of talking with N.Y. Times and USA Today best-selling author Hugh Howey. 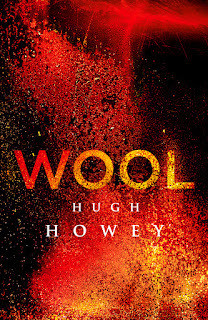 He is the author of the award-winning Molly Fyde Saga and I, Zombie, but is perhaps best known for Wool. Wool introduces readers to the Silo Saga and a ruined and toxic landscape, where a community exists in a giant silo underground, hundreds of stories deep. There, men and women live in a society full of regulations they believe are meant to protect them. Sheriff Holston, who has unwaveringly upheld the silo’s rules for years, unexpectedly breaks the greatest taboo of all: He asks to go outside. 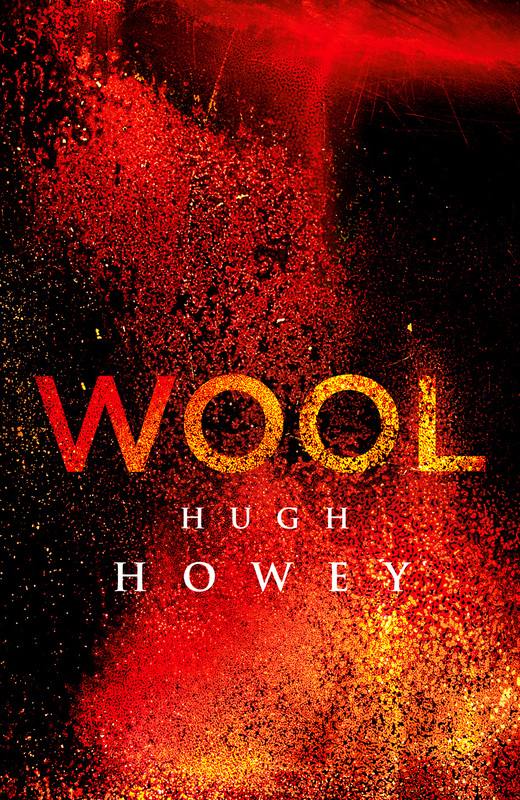 Wool is available in hard cover, paperback, eBook and audio book. It is on the fast track to be a major motion picture and, at last count, has been picked up by 28 countries for translation. Amidst this whirlwind of success, Hugh was nice enough to answer a few questions about the man behind the books. 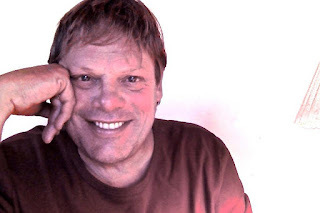 Mark Miller: In meeting other authors, I have found that our life story can sometimes be as interesting as the ones we create. Can you tell us a little about your life? What did you do before you were an author? How did that help you become an author? 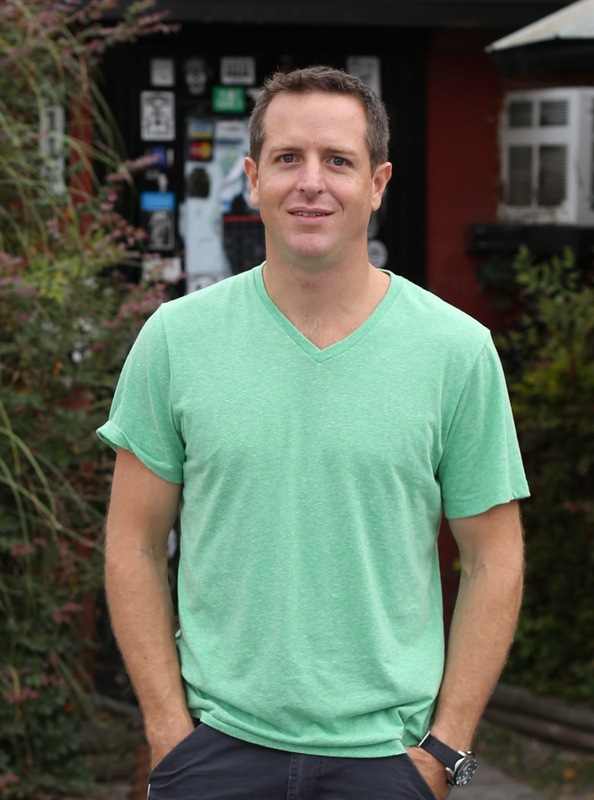 Hugh Howey: I’ve had numerous jobs and careers. My main gig was as a yacht captain, which allowed me to see quite a bit of the world, meet fascinating people, and get in some wild predicaments. I think each of those helped me be a better writer. Roofing for two years was a great way to daydream and also a great job for wanting one where you worked from home in your pajamas. MM: Roofing in your pajamas probably doesn’t work too well, but you might be able to get away with it on a yacht. Life experience is key to writing and it sounds like you’ve had some good ones. What about your hobbies, pajama-clad or not, do they add to your writing in any way? HH: I’m a nut for photography. It definitely adds to my writing. It teaches you to see the details in the world. You also learn to tell a story with a single snapshot. MM: I believe you share some of your photography on Facebook. You definitely share your life. Being a world traveler and best-selling author, how different is that life now versus about a year ago? HH: Not so different when it comes to work. But a year ago, I was living in the mountains of North Carolina. Last June, my wife and I moved to south Florida when she took a different job. So that’s changed quite a bit. I now see more sand and far less snow! MM: Less snow is always good. I will say, at least snow melts. Sand always seems to be hanging around and winds up in some odd places. You traded the beautiful mountains of North Carolina for the beautiful waters of South Florida. Even with the move, it sounds like you are traveling as much as ever. With all the travel and book tours, like Germany and Australia, what do you miss most from your old life? Does your wife have any thoughts on the subject? Does it affect her in any way? 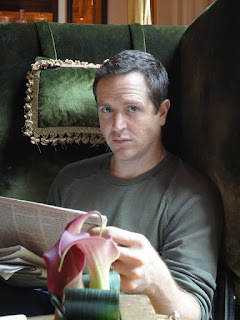 HH: I miss the steadiness of my writing routine. Travel makes writing difficult. I think my wife gets worn out from me being away from home so much. Since I work from home, I normally keep up with the cleaning and food prep. I also watch and entertain the dog. So it’s a lot more work for her when I’m gone. Plus, I think she misses me. A little. MM: That is a very familiar routine to me, except for the globe-trotting. Maybe you should try adding some children to the mix…but let’s change the subject. Many consider Wool a must read. When you open a book, what do you consider a must read? What elements are you looking for to make it a must read? HH: For me, I have to learn something. It has to expand my mind. I mostly read non-fiction, but I read a work recently that blew me away with its prose and plot. It’s called Lexicon by Max Barry, and it comes out in June. One of those books you want to read a second time. MM: Max is an Australian author and is also known for his online political simulation game Nation States. It sounds like he will be making his mark soon. There are so many up and coming authors these days with changes in independent, digital and self-publishing. There are also a growing number of authors and aspiring authors that write fan fiction, Amazon recently made an announcement about it. You have even posted about Wool fan fiction and seem to encourage it. How do you feel about other writers creating stories in your world? Have you written any fan fiction? If so, can you name the franchise? MM: I can picture it now – the TARDIS materializes in a cave; the Doctor and his companion walk out and discover they are at the bottom of an enormous spiral staircase. Or maybe Firefly? After all, you are a captain. Also, don’t think I’ll let your “fan fiction is better than the source material” comment go unnoticed. It is something I have seen from you on more than one occasion: you appear to be a modest, genuine person. It is refreshing. You are as much an author as you are a fan. Allowing for a fanboy moment, are there any established authors that you would like to see write a story in your franchise? Any with which you would like to co-write anything? HH: Oh, I would hate to suggest that anyone write stories in my franchise. That would have to be up to them. If I co-wrote something with another author, it would ideally be my wife. I’m trying to convince her to publish some self-help shorts. She’s a psychologist with a gift for helping people, and books could reach a much wider audience. MM: There’s that modesty again. You wear it well and you seem to have a great relationship with your wife. Isn’t that every husbands’ dream to write with his wife? Or at least every husband that is an author? I even have a concept when I can convince mine to join me. We have covered quite a bit already, but I wanted to rewind a little and ask have you always wanted to be an author? And looking forward, where do you see yourself in five years? Still writing or pursuing another goal? HH: Yeah, this has always been a dream of mine. In five years, I see myself on a sailboat, sailing around the world. Writing as I go, of course. MM: With Shift climbing the charts, it looks like your long term goals are coming sooner rather than later. As you try to hold your laptop steady, bobbing on the Caribbean waves, can readers expect more stories from the silo? What others stories are you looking forward to sharing with the world? HH: There’s one more book coming out in the series entitled Dust. It will be out August 17th of this year. And then it’s on to other stories. MM: Every good story deserves to be a trilogy, at least. Whatever those other stories might be (hopefully one Dr. Who episode), this is only the beginning for you. Congratulations on everything so far and thank you for taking the time to be here today. I would like to end with a fun question: If you could be any fictional character, who and why? HH: I’d be Han Solo. It’s everything I knew from being a yacht captain, but in outer space. That’s the job for me. With a Wookie for a best friend, which is like a dog, but better. A dog you can talk to and play chess with. Sign me up! 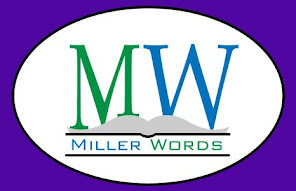 Mark Miller is a husband, father and author of everything from fantasy-adventure to Amish humor. Learn more at FB.com/MarkMillerAuthor or MillerWords.com. Shares and Comments are appreciated. 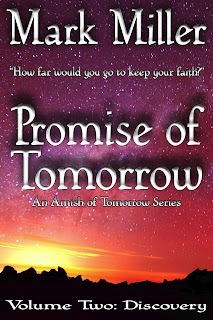 Promise of Tomorrow Volume 2: Discovery reveals some secrets. My new Amish serialized novel started with the destructive forces of nature, sending the Umble family running for their lives. They boarded a transport as a tornado destroyed their home. This is the entrance to Captain Nemo's Nautilus (one of my favorite movies and Disney World extinct attractions). I can tell you my main character Luke did not take his family on a submarine. The question that Luke has to answer is "How far will you go to keep your faith?" It is a literal and metaphorical question. He has to answer with both his heart and body. Volume 2 shows the first steps of the journey that will answer that question. In Volume 2: Discovery, the Umble family arrives at their destination. Their new life begins in a shocking way. From the first step out of the transport door, the seeds are sewn that will either tear their family apart or bring them closer than ever. 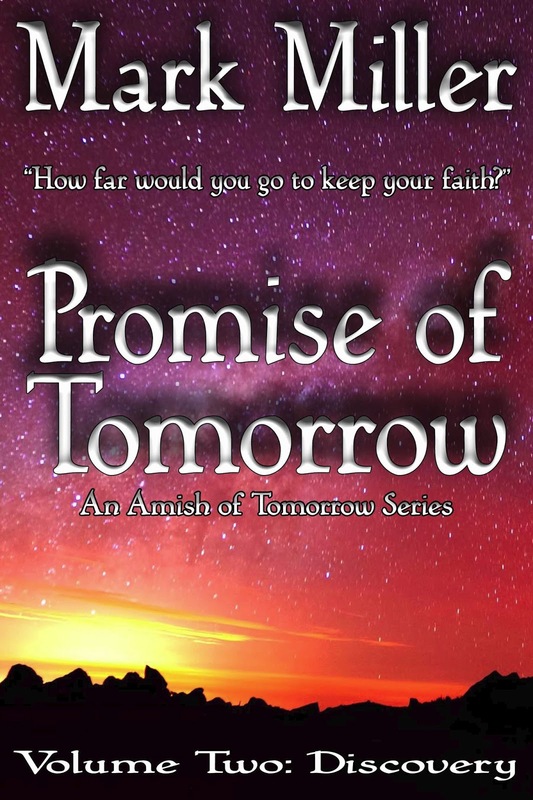 The only answer Luke can find lies in God’s Promise of Tomorrow. Thanks for reading my post today! Please be sure to like me on Facebook. 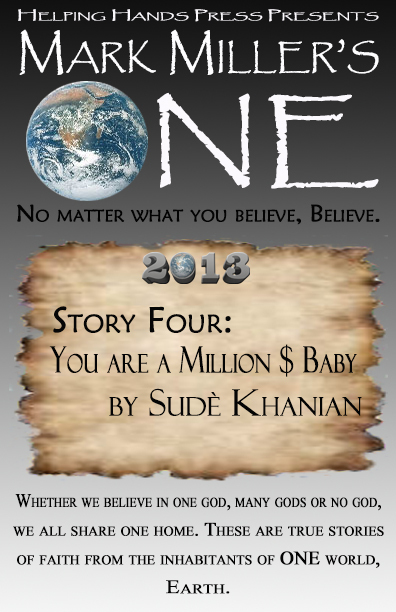 Story Four of the 2013 One series is now available. My friend Sudè returns to the One series with a touching story of how we define ourselves and how we view others in our life. What we get is a tapestry of ideas flowing together with her unique way with words. If you have ever seen her paintings, the way she writes is an extension of that energy. It is easy to identify with the narrator of her story. However, as a father, I saw the conclusion a little differently. A lot of this piece is about inner strength and how we react to people in our life. Do we run away screaming or do we embrace our differences? 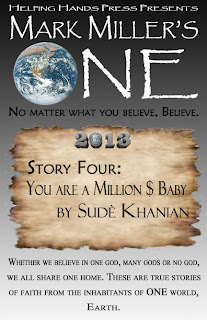 Story Four is a touching look at us all. This story could take place at any time and to any person. It is a story of love lost and life abandoned. The author asks us if our imperfections can be seen as beauty. She also explores where we find strength and hope?